Schneider Hall is nestled on Highway 71 South just a few miles outside of Columbus, Texas. Whether you’re looking for a charming place to hold your wedding, a fun place to have a family reunion, an out of town business meeting, or just a party for party’s sake everyone will be able to come because of our central location; we are within 2 hours of Houston, Austin, and San Antonio. It offers the perfect place to host any event. Schneider Hall is an original Texas Dancehall that operated throughout the 1930’s. It was run by the Schneider brothers; Fred, Jim, Willie, and Jake. They hosted regular dances at the hall and many town events including the 1939 Farmers League Rally Day which was reported to have had over 1000 people attend. The hall officially closed its doors in 1942, but still hosted events and parties throughout the 1950’s. The hall was used for hay storage until 2009 when the Burris family began renovations for their daughter’s wedding reception. Schneider Hall sits on a 175 acre farm, and offers the rustic charm and comfortable setting only an authentic Texas Dancehall can bring you. Built in the early 1900’s, Schneider Hall is a step back in time, with hundred year old Live Oak trees adorning the property. The Hall comfortably holds 200, and we strive in every way to make your day as stress free and seamless as possible. We are an open vendor facility, so you are welcome to bring in any vendor you choose. We also take care of all the details on Saturday, so you, and your family can enjoy the day and be in the moment. Use of all tables and chairs. Table Linens: Choice of white, beige, brown, or black. Clean up: Just close up the hall, and we take care of all the cleaning for you very early Sunday morning. This way again, you and your family can just enjoy the day and not worry about staying and cleaning up that night! Saturday Night: Included stay at The Carriage Step for the newly married couple which includes breakfast the next morning and full use of the house to sleep in and relax on Sunday morning. Day of Wedding Coordinator: I will help orchestrate your day, make sure your wedding flows like you want, and just make it as stress free as possible. Plus our team will set out all ceremony chairs, greet your vendors, and set up all outdoor decor. Again, it is to create a fun filled, stress free day. Friday Night: Additional night's stay at The Carriage Step for you and your bridesmaids (sleeps up to 8) which includes breakfast and luncheon for you and your girls and full use of the house for the day. * Price listed is for 100 guests. 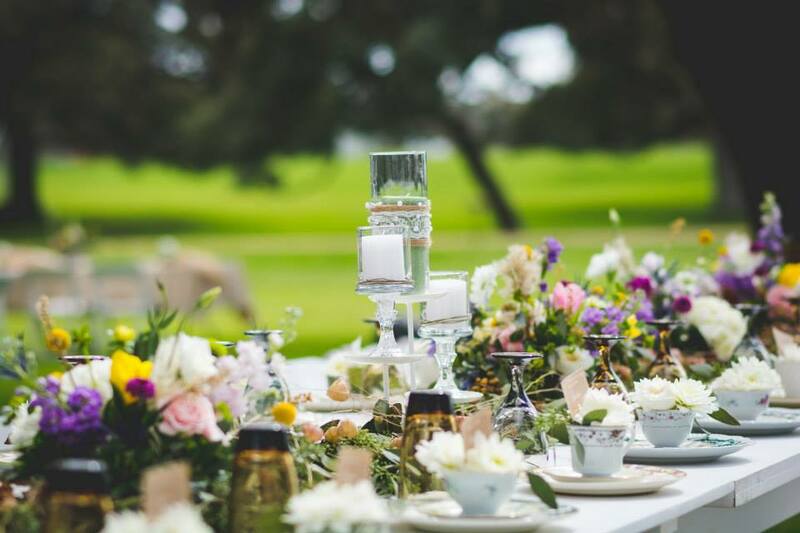 Want to step back and let someone else handle all the stress of planning a wedding and decorating a venue? This is the package for you. The beautifully restored home is also fantastic for showers, parties, intimate weddings, and reunions. We can accommodate up to 50 people inside the main house and over 50 including the Carriage House and garden area. We offer party planning services, catering, and decoration in addition to the facility. Our gorgeous backyard, sun porch, and additional carriage house are the perfect combination for entertaining guests of all ages. Brides and their families will find no shortage of comfort and fun during their pre-wedding festivities at The Carriage Step. Our authentically decorated home is the optimal backdrop for getting ready with your wedding party and photo ready for those sublime photos you have been dreaming about! **Note: If calendar is not visible on mobile, switch to landscape view. We try our best to keep our calendar up to date, but always contact to confirm availability! © 2017 by Schneider Hall LLC. Design: HTML5 UP.